You’ve done the hard work of creating a written budget. You’ve gone through a list of your expenses, charted where every dime of your paycheck goes and set realistic but ambitious goals. There’s just one problem – you’re having a hard time sticking to your plan. 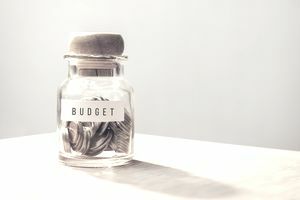 Your budget sounds great in theory, but resisting the temptation to order that second drink, skip dinner with friends, or continue wearing frayed clothing doesn’t feel the same in the heat of the moment. Share your goals on social media. Update your readers, followers, and friends regarding your progress. Be transparent about the step backward you may take as well. Maintaining a sense of public accountability can force you to stick to your guns. In the process, you’ll probably form online friendships with others pursuing the same goals. Online community support and relationships can help motivate you to stick to your plan. You can use different methods to create a visualization board. One option is to literally cut photos out of magazines and tack them on a cork board. Another is to use Pinterest to make a digital visualization board. The specific type of board you create doesn’t matter. The important thing is to create this visualization board to show you the reason why you want to stick to your budget. Perhaps you’d like to be free of debt. Perhaps you’re saving for a specific goal such as making a down payment on your dream home, buying a particular car, or sending your child to college. Your dream board could have a picture of a gorgeous house, a nice car, a graduation cap, or some stylized internet mock-up that signifies debt freedom. Regardless of your specific goals, put them on your dream board and place it somewhere you’ll see frequently. This provides a constant reminder of what you’re working toward. You’re highly unlikely to stick to a budget that’s too strict. Let yourself order that latte from time to time. Turn special treats or indulgences into a celebration. That doesn’t mean special treats have to be reserved only for big celebrations. It means the opposite. Every time you order a special treat, like that iced latte you love so much, the treat itself serves as a mini-celebration, even without a special occasion. By celebrating the treat itself, you’re honoring and enjoying that treat for what it is: a deviation from the norm that you enjoy because it’s special. Let’s imagine your savings goal is $5,000. That might feel like a huge number. Such a big goal can be overwhelming. You’re more likely to stay on track if you set milestones along the way. Perhaps when you save your first $100, make a social media update or a blog post celebrating your progress. When you reach $500, or your first $1,000, make time to enjoy your success. The idea is to track and celebrate little milestones along your journey to break it into smaller steps so the process of meeting your financial goals doesn’t seem quite as overwhelming.